Moving the infrastructure sector from good intentions to concrete action. We are proud to host a dedicated series of events, in collaboration with the global Women’s Infrastructure Network (WIN), and with the guidance of our Steering Committee. 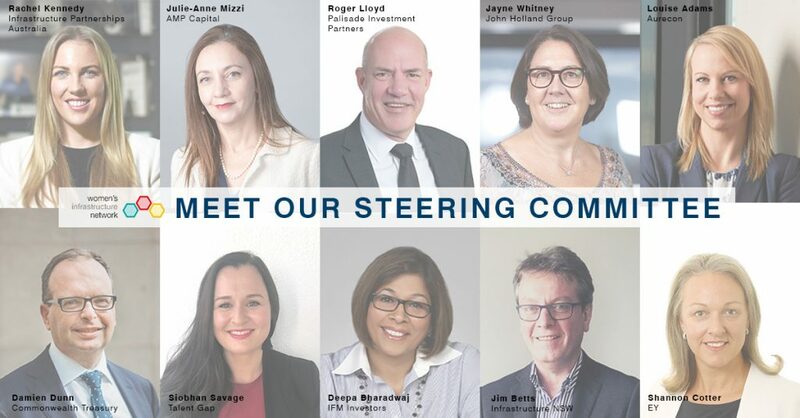 The Steering Committee are working together to shift the dial on diversity – moving the infrastructure sector from good intentions to concrete action – to the benefit of industry and the community we serve. Our upcoming events will focus on driving cultural change, challenging the status quo, and exposing industry leaders to new ideas and ways of thinking about diversity. In order to maintain a degree of independence and to ensure the success and relevance of the network and the aligning event series a WIN Steering Committee exists to provide advice to Infrastructure Partnerships Australia. WIN holds a series of topic-specific events with speakers relevant to the national infrastructure sector. We encourage anyone interested in receiving material related to the series, including event invitations, to register their interest. Register by emailing [email protected] or Join our LinkedIn group. The Women’s Infrastructure Network (WIN) is an inclusive global network operating in the USA, Canada, New Zealand, Australia and the United Kingdom. Infrastructure Partnerships Australia is proud to convene the Australian Chapter.